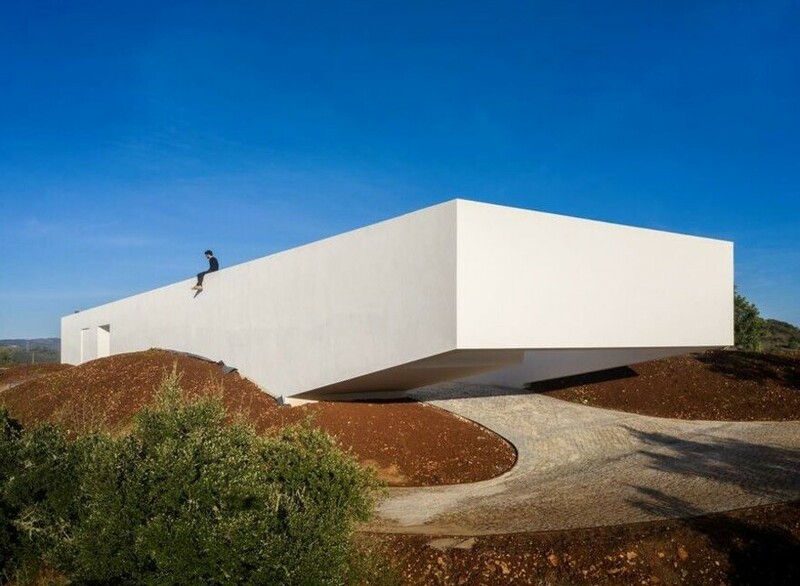 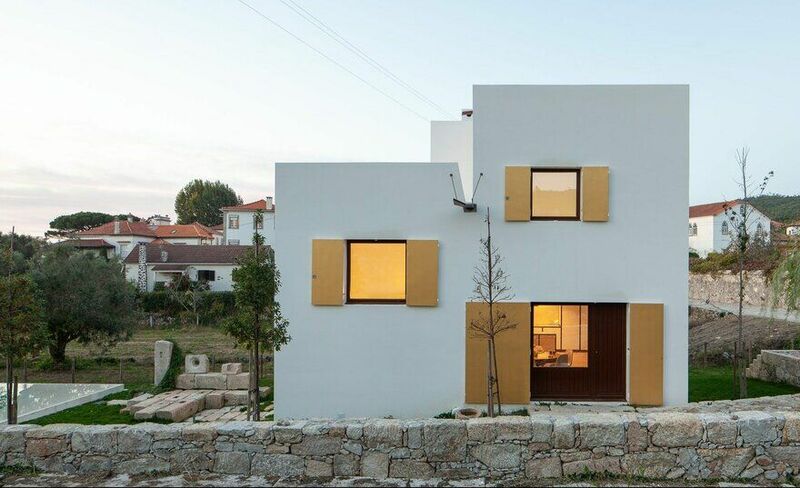 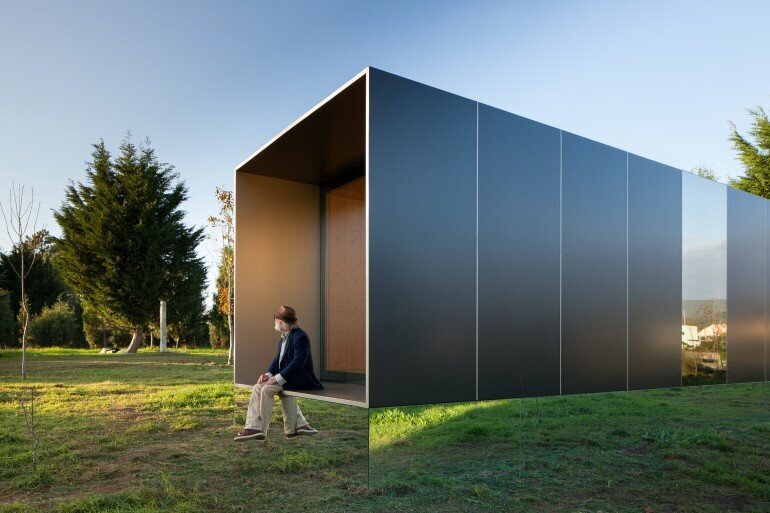 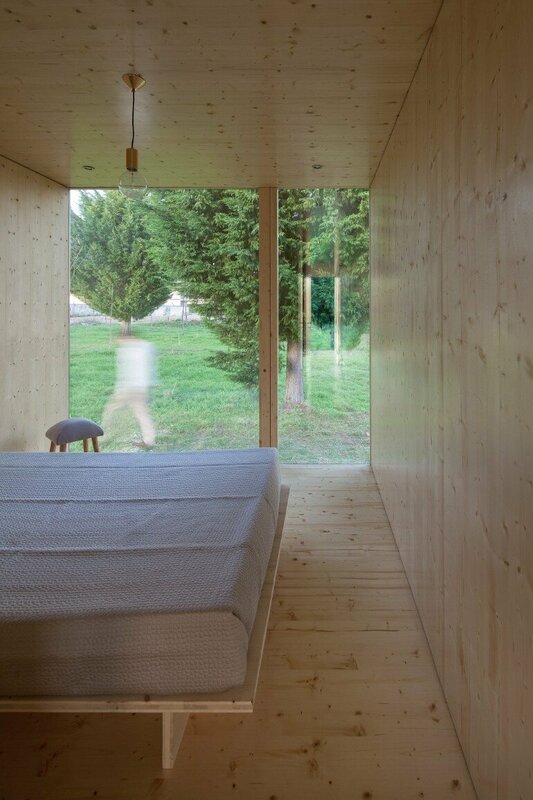 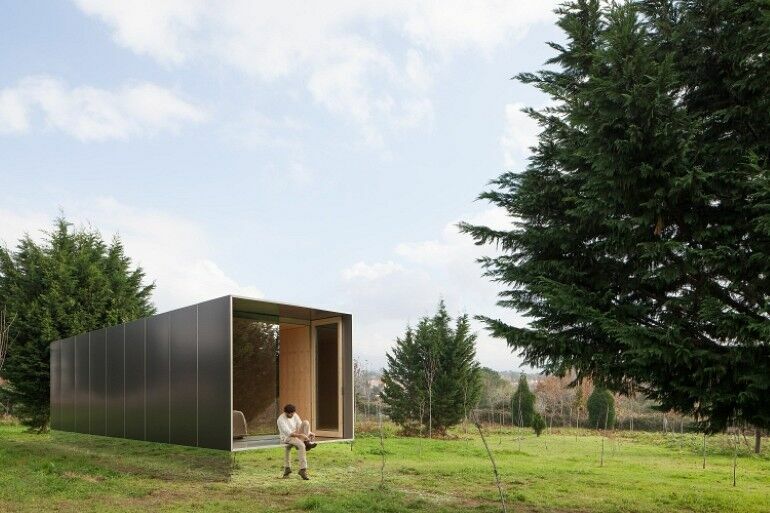 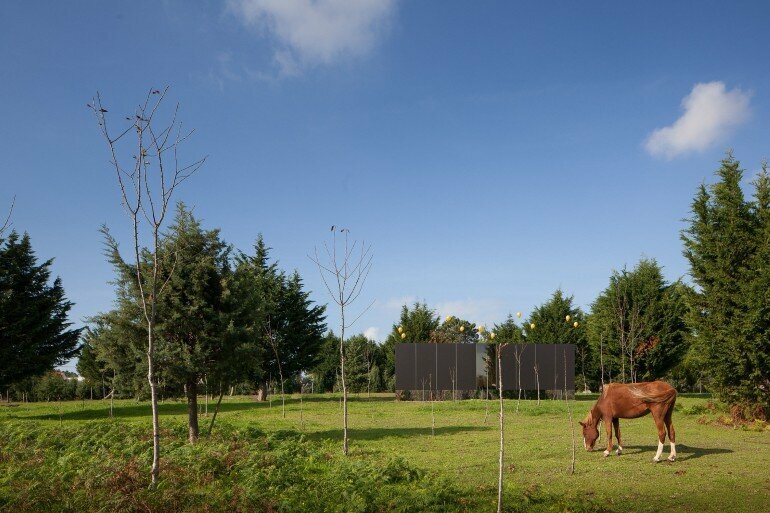 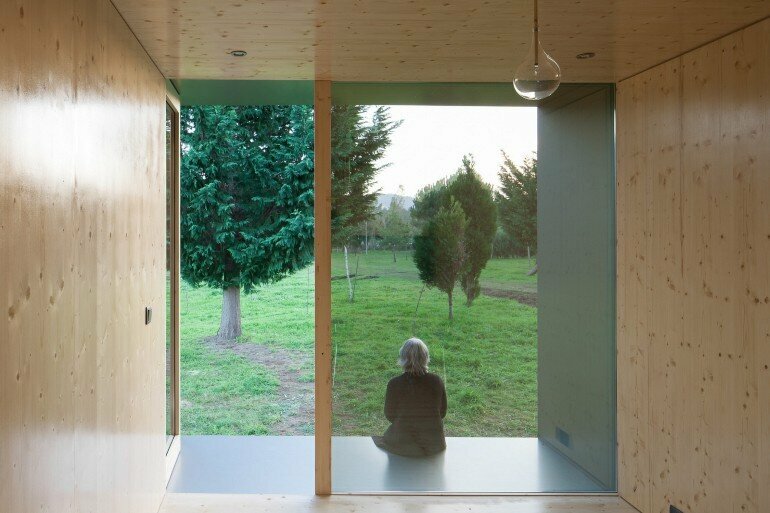 Mima Light is a modular home designed by Portuguese studio Mima Architects. 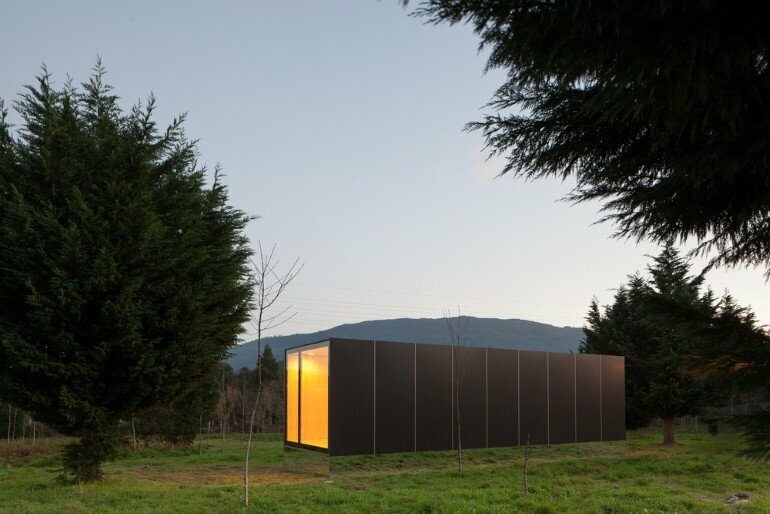 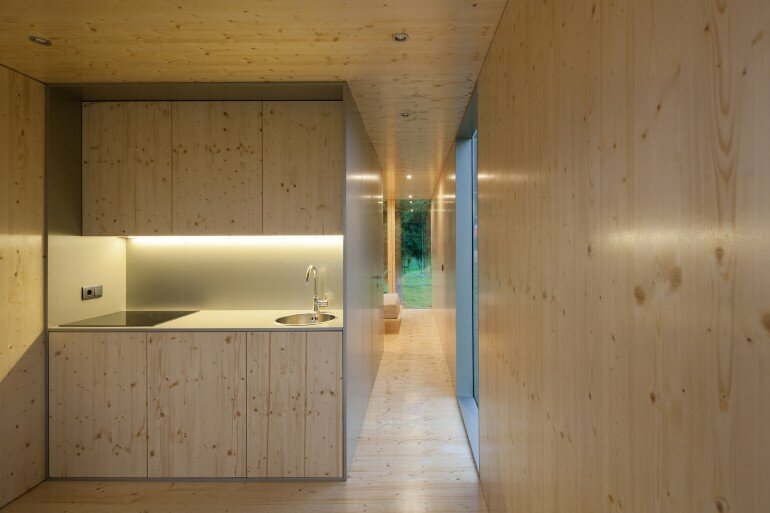 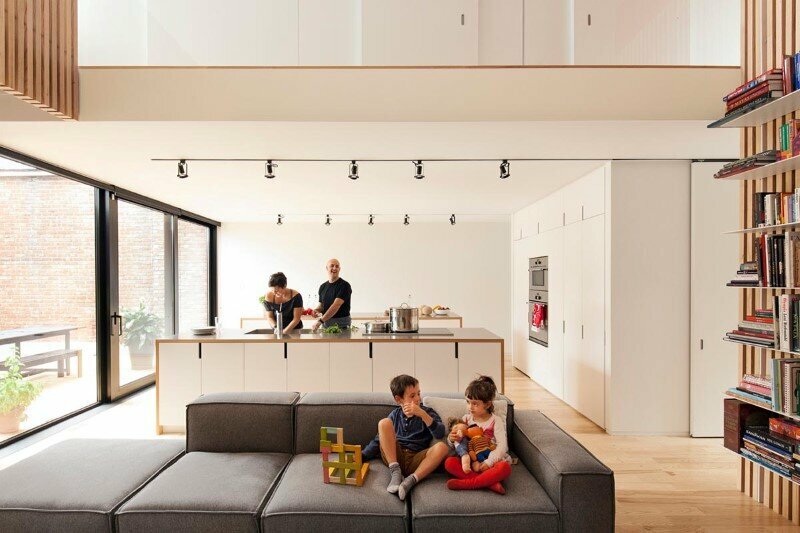 Description by Mima Architects: Mima Light is the ultimate achievement in modular construction, combining an outstanding lightness with an iconic and minimal image. 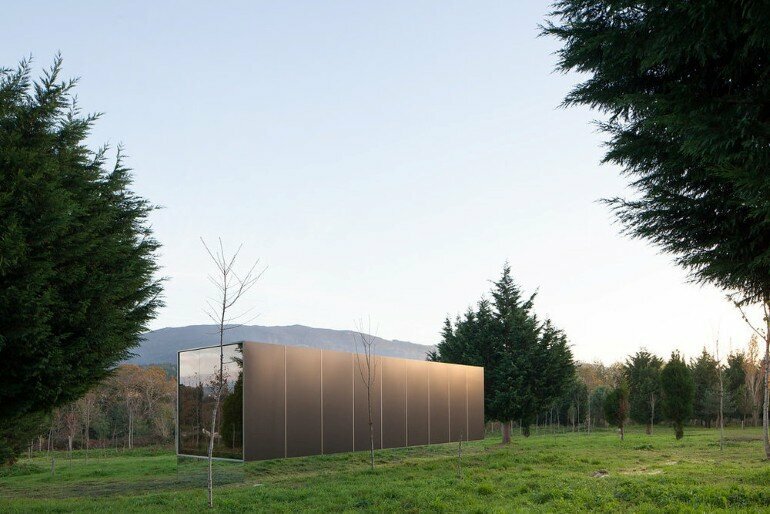 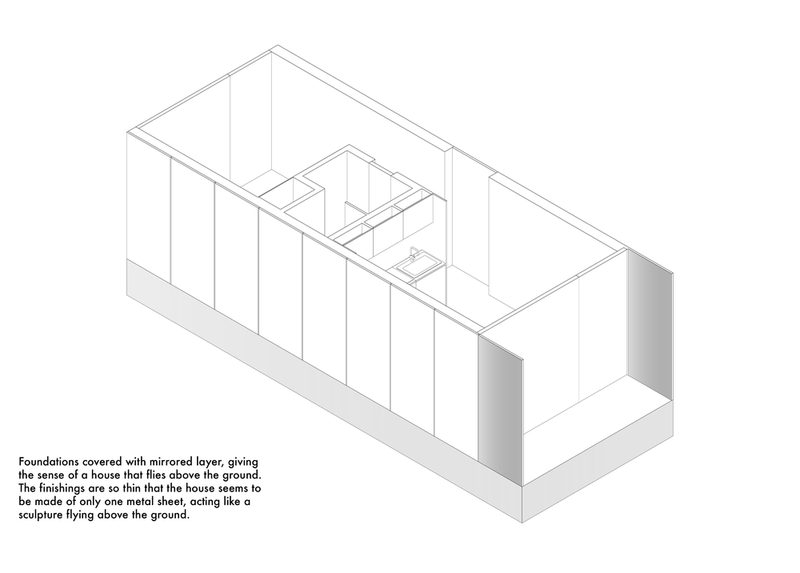 This home seems to levitate above the ground due to the lining of the base with mirrors. 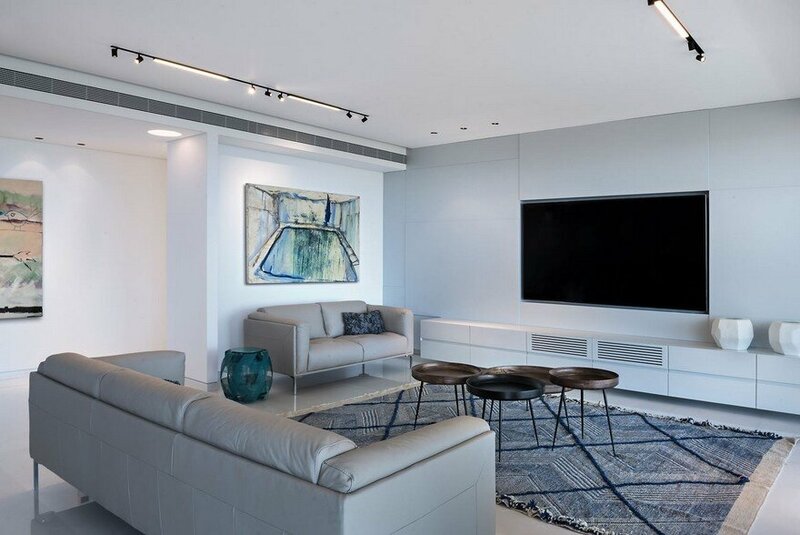 Inspired by the minimalist sculpture of artists such as Donald Judd, John McCracken and Robert Morris, the new Mima Light aims to be epitome of sophistication, synthesizing a surprising combination of sculptural depuration and interior comfort. 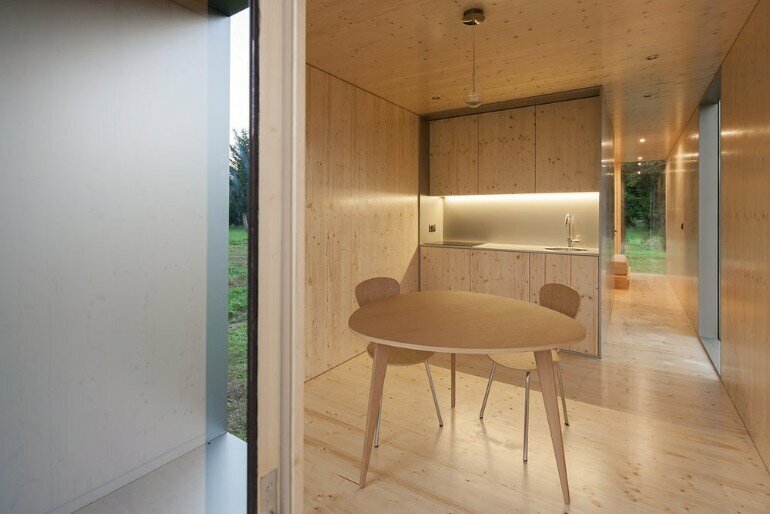 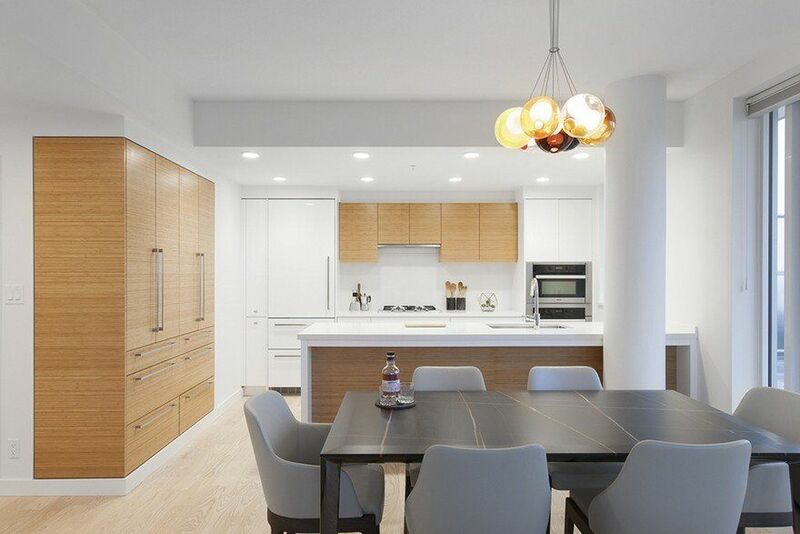 Outside, a sober and sharp object can be appreciated from any angle – so light that it seems to levitate. 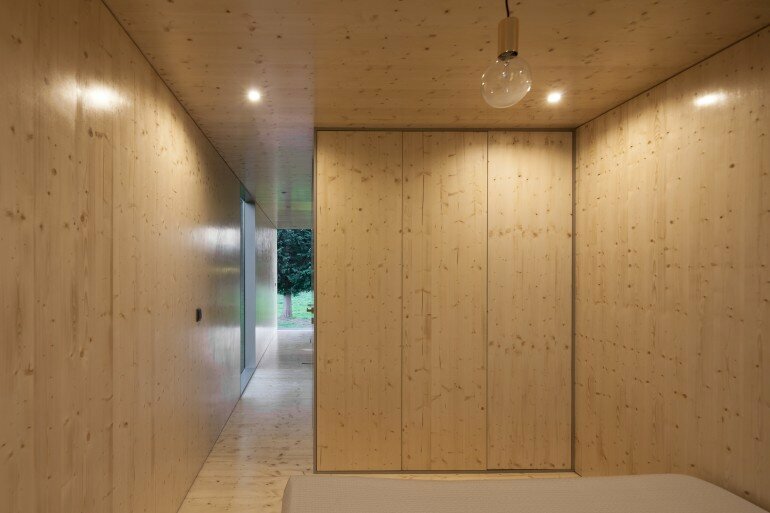 Inside, the comfort of a uniform coating in pine – combined with the elegance and minimalism of the details, the chromatic choice and the quality of components and materials – results on a very seducing home. 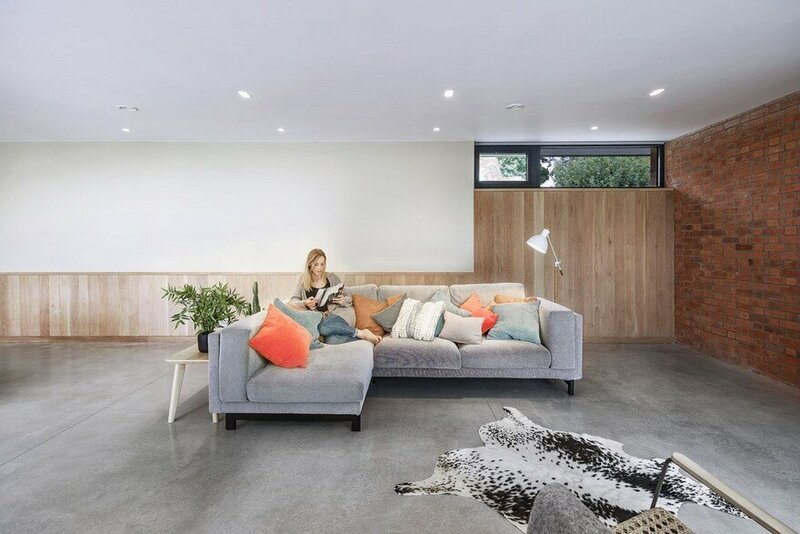 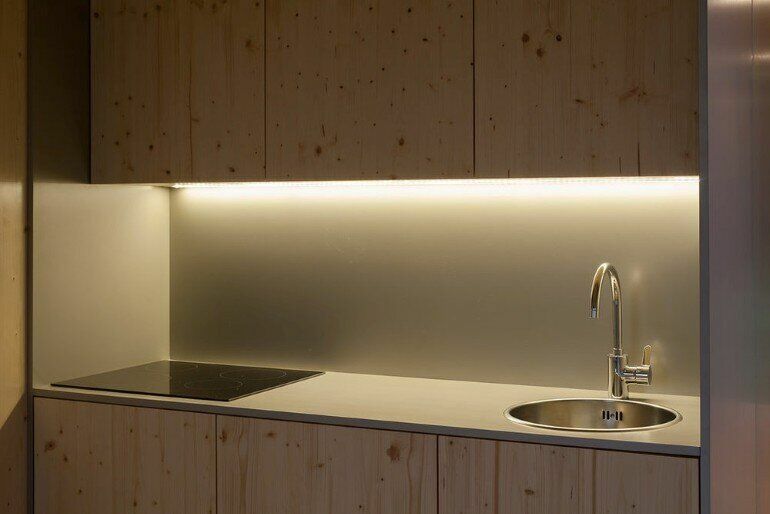 Mima Light is simple to produce and more practical to achieve than any other Mima product. 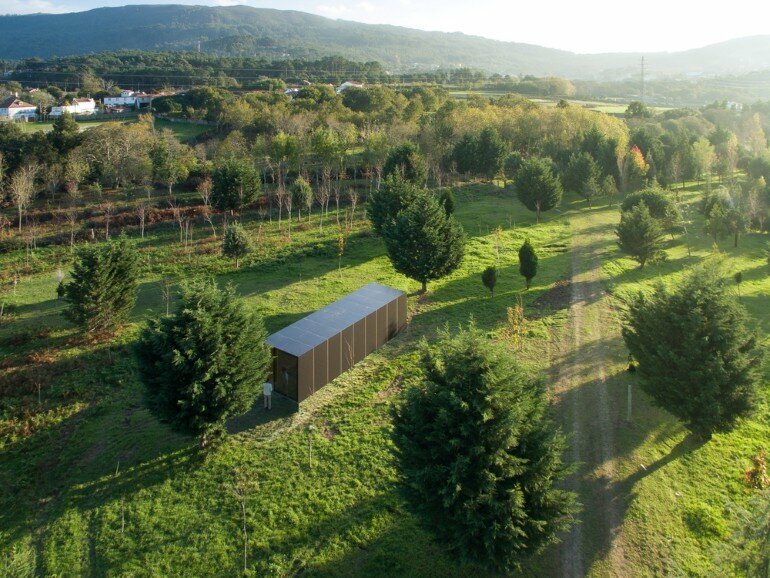 This module is completely produced and assembled in factory and then transported to the local site, ready to be implemented. 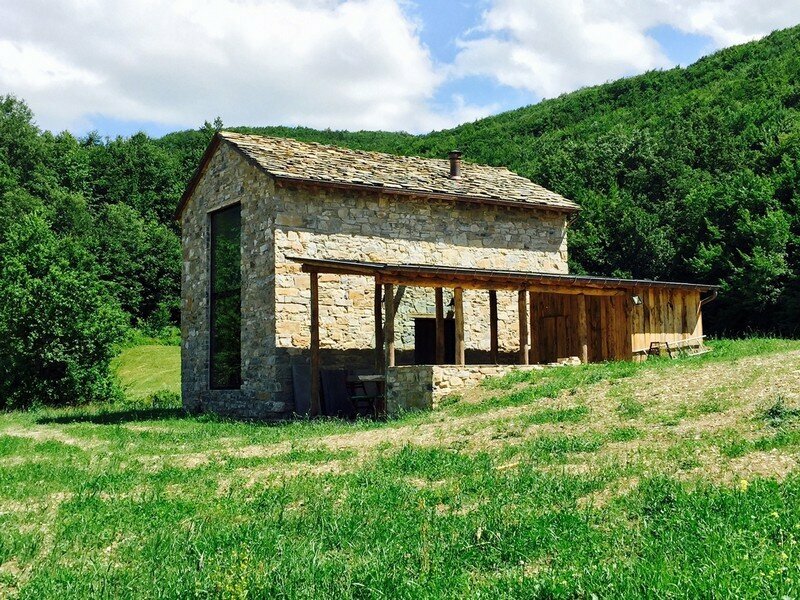 It is perfect for a market sector that covers tourism, temporary homes and vacation homes. 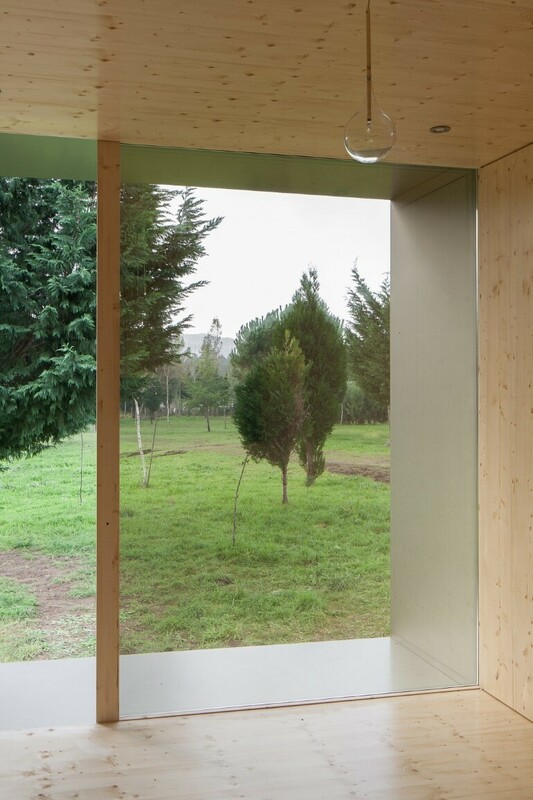 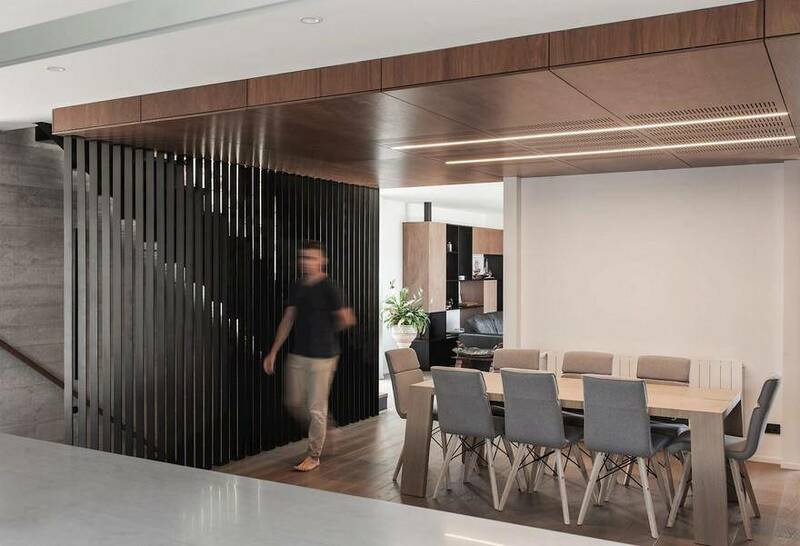 This house is available in two sizes: Mima Light and Mima Light Plus, with 9m and 12m length, respectively, and it is currently distributed to all countries in the European Union.